There is evidence that would suggest that about 3.4 billion years ago two enormous meteoroids slammed into the ocean on Mars. It is believed that this impact generated massive 120 metre high tsunamis. 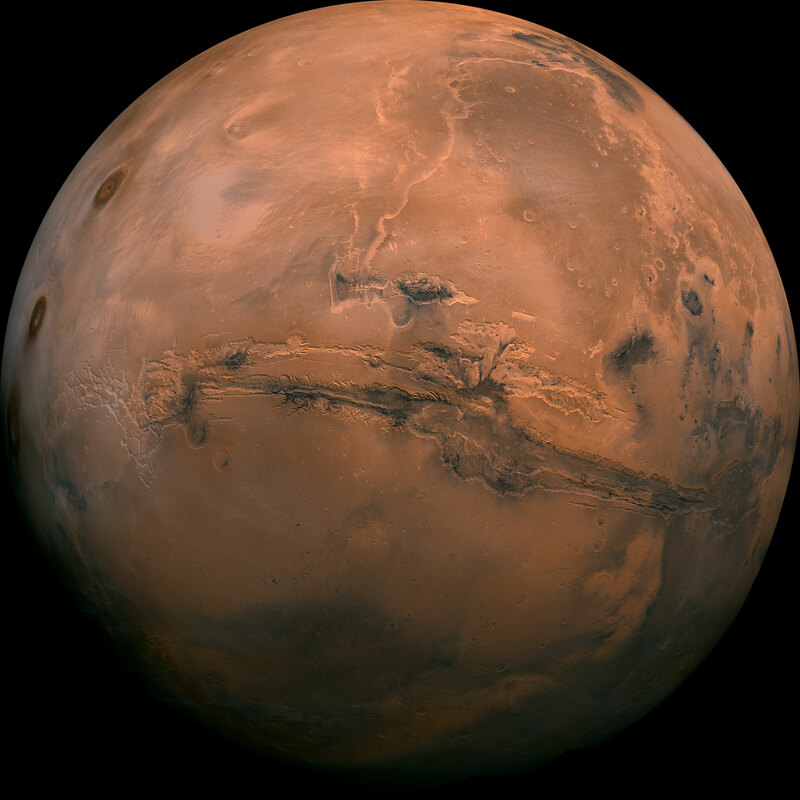 Back in 2012 sedimentary deposits were discovered that solidified the theory that at one point Mars had oceans. A tsunami is a series of waves in a water body caused by the displacement of a large volume of water, generally in an ocean or a large lake. If such an event were to happen on Earth it would be referred to as a megatsunami. A megatsunami is a term used for a very large wave created by a large, sudden displacement of material into a body of water. Megatsunamis have quite different features from other, more usual type of tsunamis. Megatsunamis are several tens, hundreds, or possibly thousands of meters high and they are able to cross oceans and ravage countries on the other side of the world.